This what Meg has to say about Let’s Make a Beeline and it’s origins. Living at Wiston Lodge at the foot of Tinto Hill, I keep a daily diary and write a guided meditation each week for The Border Collie Sangha. These both focus on the natural world around us. In September 2014, I went south to my Aunt Eliza’s funeral in Wiltshire. One day, we made a detour to our old farm on the edge of Salisbury Plain; sixty years ago the landscape was carpeted with wildflowers – orchids, harebells, trefoil, wild thyme, pansies and abuzz with bees, butterflies, dragonflies, insects of all kinds. And now……it is a silent landscape, no birds, animals, flying insects. The hedges, ancient drove roads, patches of trees all gone. No cows or sheep, chickens and no farm workers, just contractors……. The idea of LET’S MAKE A BEE LINE, came after taking a walk on a warm sunny afternoon in South Edinburgh. We passed trees and gardens blooming with flowers, and climbed up Blackford Hill, covered with flowering broom and gorse. I asked my companion walker how many bees and butterflies he had seen recently. After the walk I came back home and contacted people I know who garden and grow from Shetland down to the south of England to ask for their observations. The only places I have heard with the BUZZ as usual are the northern seacoast fringes, Shetland, the north coast of Scotland, and the islands. Here at Wiston Lodge, we have bumble bees, but fewer, honey bees when the wild raspberries are flowering, but fewer; a few moths but no butterflies…..and only one ladybird in the past three years. I have had a long time interest in the natural world around me, have a farm and garden background, took camping and walking holidays in the wild places for choice; worked as a gardener for Iona Community, started the garden at Wiston Lodge and have a personal garden now. It is just over half a century since Rachel Carson wrote Silent Spring, which changed the way a lot of us think; but in the time between then and now her message has gone dangerously unheeded by much scientific, agricultural and gardening practice. It is up to each of us to make the change we need to make. 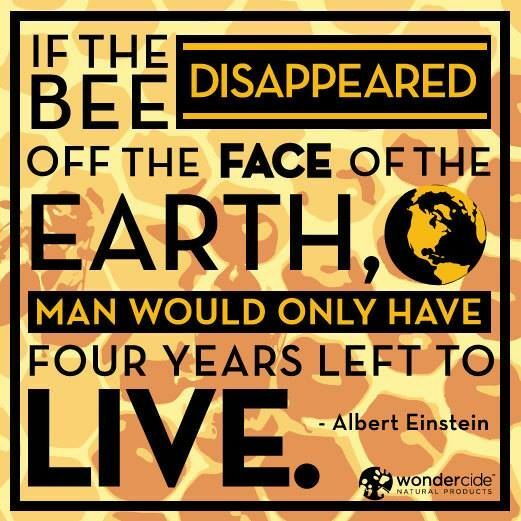 Einstein predicted “if the bee disappeared off the surface of the globe, then man(sic) would only have four years of life left”. In a Sting In The Tail, by Dave Goulson, biologist and founder of the Bumblebee Conservation Trust, has found that a bumble bee can travel 10 kilometres to make its way home –so this is as far as we will walk each day between the Edinburgh Botanical Gardens and Wiston Lodge. So it is up to us.. Come and help us MAKE A BEE LINE. Meg will Make a Beeline from Aug 30th until Sept 6th 2016. Her route will take her by a number of gardens and projects where she will connect with other like minded folk. At a number of these locations during the walk, Tinto Music and Arts will host an event: a talk, a workshop, a movie or live music for you to attend. Our BUZZ FEED will be updated regularly with information on the events and the walk so YOU can join in. Monies raised by Meg’s walk will go towards the creation of a weekend gathering at Wiston Lodge. The event will bring together internationally renowned authors, speakers and academics to engage in Bee conversation ( conservation!) and will host workshops and Music, all within the Bee related theme. Anyone interested in walking the route or sections of it can download a Sponsor Form here which can be printed ( double sided), folded and sealed and completed and then posted back to us. The map below is an approximation of the route Meg will take. We will use footpaths, river walks, cycle-ways and old disused railway lines to avoid walking with traffic. Meg will have a support team of two, one walker, one vehicle for carrying supplies and meeting up near to connecting points. The proposed route is as follows. ( All days approx 10km) and we are constantly updating with event info and contacts. Please email us for info on any part of the walk. Leave Peebles following a visit to the Secret Garden – contact Jan Cameron…..just behind the High St in Peebles. Visit Dawyk…for a cuppa and a chat. 7.30 pm at Atkinson Price Bookshop, Biggar, evening talk with Andrew Whitley and Veronica Burke. Why have all the Buzzing Bees Gone? Atkinson Pryce Books. Walk from Biggar to Wiston Lodge over Tinto Hill. Evening at Wiston Lodge with Food, Talks and Music. 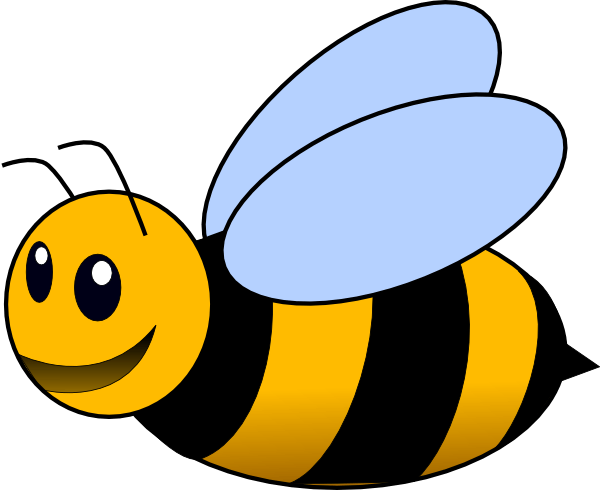 Anyone wishing to join for a leg or two can do so and we encourage them to download our Make a Bee Line Sponsor Form, print it out double sided, fill it in and fold and post back to us when your leg of the walk is completed.